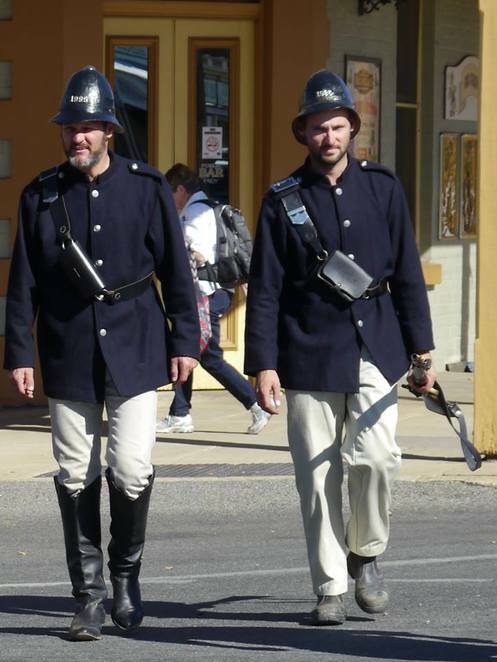 Deep in the heart of Ned Kelly country, you can walk in the footsteps of Australia's most famous bushranger, sit in the goal cells, stroll through landmark buildings faithfully preserved and, during the Beechworth Ned Kelly Weekend, witness re-enactments of the trials that actually took place alongside historic displays of real equipment and clothing from the same era. 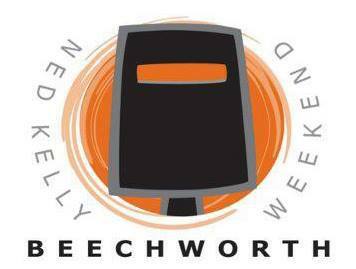 On the weekend of 7th to 9th August 2015, the historic township of Beechworth will be rolling out the rug for the thirteenth annual Ned Kelly Weekend. The main attraction this year will be a special appearance by the stars of 1980 TV mini-series, The Last Outlaw. John Jarrett and Steve Bisley will be attending a commemorative dinner co-hosted by Kelly Family descendants and the State Opposition Minister, Stephanie Ryan and Major Mathew Brooks, C.M.T. 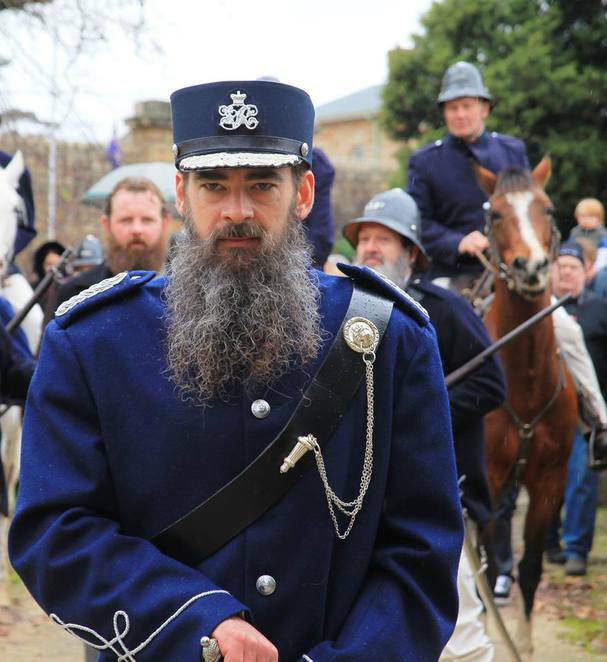 Right across the weekend, many FREE events will be taking place, from the re-enactment of Ned's arrival at the Beechworth Railway Station, bank robbery, the trial of Ellen Kelly, Ned's committal hearing and trial. Harry Power will once again be paraded through the streets on his way to the Beechworth courthouse and later the cells. There will also be firearms and cannon displays and free music in the police paddocks. Most re-enactments are free and will take place around town. However, tickets are required for courthouse re-enactments of Ellen Kelly and Ned's committal hearing. 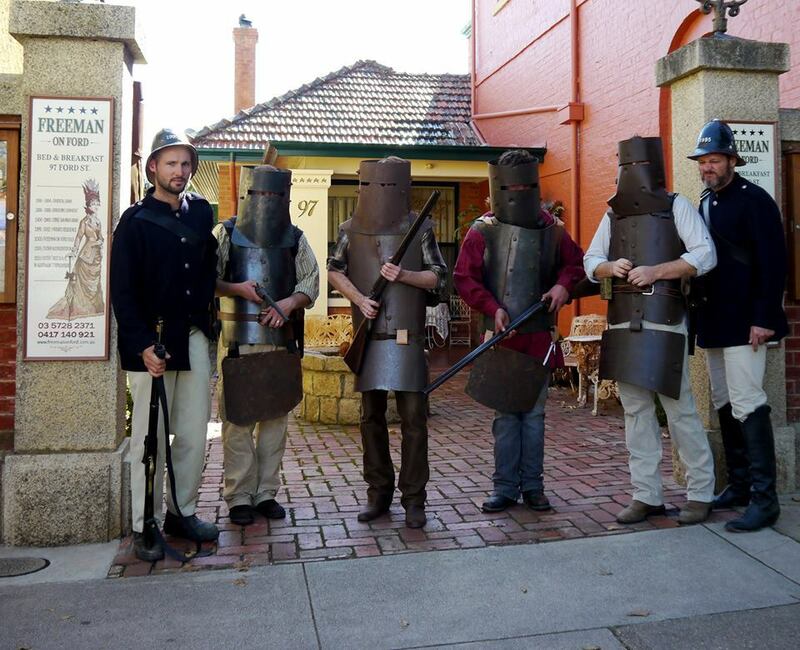 On Saturday evening, find a place on the grass to watch a re-enactment of Ned Kelly's capture and the burning of the Glenrowan Inn presented by the Beechworth Historical Re-enactment Group Inc, sponsored by the Melbourne Mint, Freeman on Ford, Old Priory and the Beechworth Bakery. Get into the spirit of this occasion with the Ned Kelly look alike competition. Present your finest beard, moustache and tattoo for a chance to win. Entry is $5 per adult and $10 per family. Children can take part in activities and competitions, including a chance to have a photo taken in the gang's armour. Enjoy free pony rides and pat some furry friends courtesy of Hey Ho Animal Farm. Kids can also take part in the Gold Fever Treasure Hunt. For a gold coin donation kids aged 5-12 can search for gold nuggets, which can be exchanged for lollies. Enjoy the market style village. 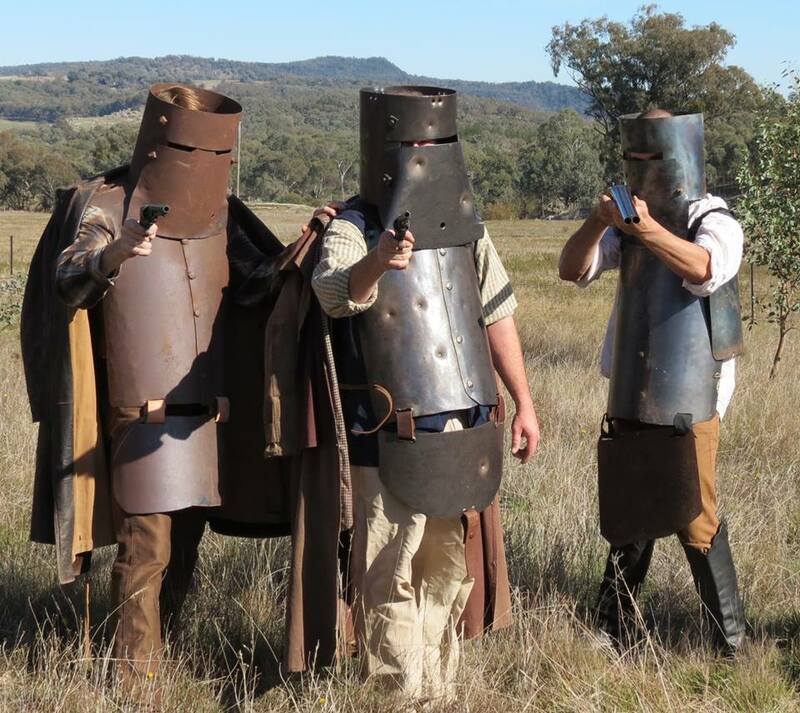 See and purchase Ned Kelly memorabilia direct from the artisans continuing to make traditional artefacts. There are plenty of FREE events, but please check the website for tickets to special features to avoid disappointment. Source accommodation options in and around Beechworth, extending as far as Bright, which is a comfortable distance to travel and has plenty of accommodation. Beechworth is home to the infamous Beechworth Bakery, which is always packed. There are also reasonably priced bistro options and don't forget the Beechworth Brewery for both a beer and a meal. The old-fashioned sweet shop will delight kids of every age yearning for an afternoon treat. You'll also find Beechworth Honey proudly sitting high on top of the hill. Enjoy a rare opportunity to see inside an actual, working hive. 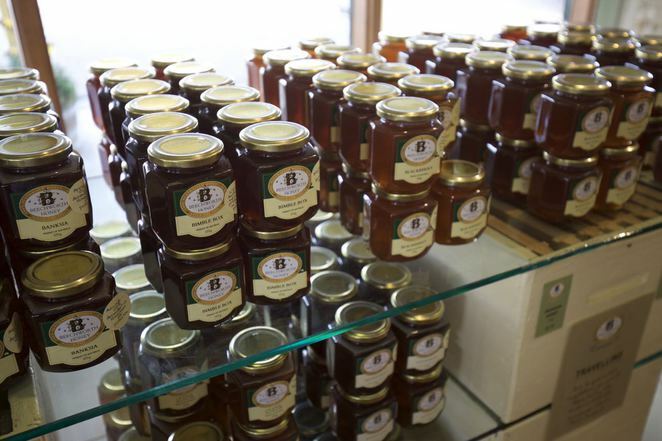 Try and buy (if you can decide) from one of the many delicious honeys on offer or bee related merchandise from the shop. You would never guess there were so many different varieties of honey. According to Google Maps, Beechworth is just shy of 3 hours drive from Melbourne, or 285km if you prefer, taking the M31 Hume Freeway to the B500 Great Alpine Road non-stop. The event location for your GPS is 103 Ford Street, Beechworth. For a full copy of the program, more information and ticket purchase, visit the Ned Kelly Weekend website or Facebook Page.